Do you ever feel like you are out of sync with everyone around you? I do. Sometimes more than others. But more often than not, I feel a certain level of isolation that comes from not quite fitting in with the crowd. But here’s the conundrum. I don’t really want to fit in with the crowd. I am not now, nor have I ever in my life, been pulled by the prevailing winds, nor motivated by what others thought of me, especially when it involves things that are out of alignment with my interests and values. And yet, not fitting in brings with it a vague, pervasive feeling of disconnection that can be unsettling. As an artist and a writer, I came to a realization early in my life that the very powers that kept me from going along with everyone else were the powers that brought the clarity of vision and the courage to create in a way that was bold enough to be called art. Those are the powers that have molded my life, my work and my character. 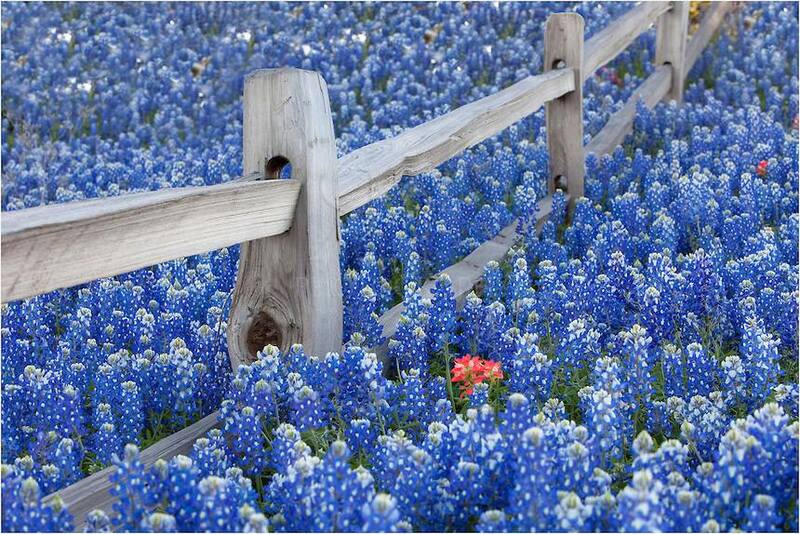 This field of bluebonnets is breathtaking. The weathered rail fence is perfectly picturesque. This image would be beautiful with just those two elements. But our eye is drawn to the bright, vivid Indian Paintbrush, effortlessly being its brilliant self, unintentionally uncommon in the middle of uniformity. This entry was posted in Uncategorized and tagged Art, artist, Beauty, Bluebonnets, boldness, Character, Courage, Individuality, nature, perspective, writer on March 25, 2016 by Rebecca.